This is the first in a planned series of articles that will deconstruct the Madeleine McCann story. The study of this story has traditionally been undertaken by those trying to solve the mystery of what happened to Madeleine? I am offering something different, a textual study that will investigate the story of Madeleine McCann as a work of allusion and intertext. Too often individual allusions within the Madeleine McCann story have been considered in isolation and regularly dismissed as coincidence, but to understand the work correctly we must consider the bigger picture. Once exposed to the extravagance of these allusions, the reader is drawn away from the original story and towards the creativity of the writer. Due to the sheer volume of these literary inventions one can only conclude that invention itself is central to the project. The discovery of these inventions, I believe, is the primary purpose for which the work was created; that is, to be admired by a small ‘in-the-know’ audience, yet to remain unseen by everyone else. I will offer many examples of creative play that will serve as background to the arguments put forward. The writer of the Madeleine McCann story was not the victim of circumstance challenged with the manipulation of reality, he is the willing and extremely able creator of pure fiction. To understand the story of ‘Madeleine’ we must not ignore these allusions as unwelcome intrusions into a factual story, but foreground them as central to the project of author and audience. 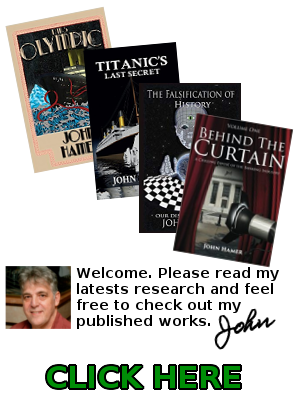 I will now reveal the original texts / source materials that the author draws upon to construct the Madeleine McCann story and demonstrate the ingenious allusions he has devised. Possibly one of the most messianic statements you could create. We are told that Kate said those words prior to their audience with the Pope. When I first read that quote it brought to mind the second coming of Christ, and who could blame me? I know that many other people thought exactly the same thing. Critics were aghast, asking ‘Who does she think she is?’ However, I didn’t really think about it too much and like many others, simply put it down to an odd choice of phrase, but as time went on I started to notice other quotes and statements with a similar theme. In the Portuguese police files (the PJ files) the interview with David Payne has long been a source of some controversy. Critics often highlight the following passages as evidence of David also being ‘creepy,’ but as we have seen with Jon Corner and Kate McCann, his choice of words could also be interpreted as having a religious / messianic theme. The common interpretation is that readers are disturbed by Jon and David’s descriptions, an interpretation influenced by external factors and one that fails to recognise the clear and consistent messianic theme to the language being used. We have also been alerted to further possible allusions with the information that both parents are ‘the children of carpenters’ and we know (or we have been told) that both of Madeleine’s parents are also healers / work as medical professionals. If the messianic theme was intentional and those quotes are alluding to that, then the story must have been created by writers. This was a possibility I had not previously considered and having an interest in literary / textual analysis, I decided to investigate this further. As we have already seen, David describes the birth of Madeleine as a miracle. David could have used any word to describe this event, but his chosen adjective was the word ‘miracle.’ David provides this information in his police interview and the name of the detective conducting David’s interview is ‘Ivor Messiah’ !!! How unbelievable is that? David tells Ivor Messiah about the miracle birth of a child called Madeleine – never have three characters been so aptly named. For those who don’t know why the name David is significant, the Messiah is the ‘Son of David’ born into the Davidic / messianic bloodline. In the New Testament, Jesus is referred to as ‘Son of David’ fourteen times. The name ‘Madeleine’ is the French form of Magdalene, well-known because of Saint Mary Magdalene and the biblical character Mary Magdalene – if we look at modern conspiracy lore – is seen as the Holy Grail and the true messianic figure. “The parish priest also gave the McCanns the keys to the church so that they could pray there alone in the evenings. It was while they were doing this early in the first week that Mr. McCann had an extraordinary experience. It was almost like something – I am not saying it was the Holy Spirit – came into me and gave me that image. That is when I really felt I had a clear path. So, Gerry makes a connection between himself (the father) and the Holy Spirit. He does this by telling us how he became ‘possessed’ by something that could be the Holy Spirit. Now, until Gerry mentioned it himself, I don’t think that anybody on earth would have thought it was the Holy Spirit, but that is how this allusion works. I should also point out that Kate McCann’s middle name is Marie, the French form of Mary. 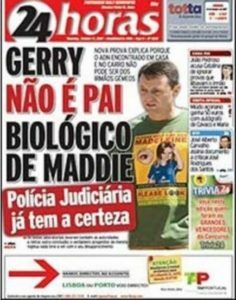 The Portuguese newspaper ’24 Horas’ (24 Hours) printed a story about Gerry not being the biological father. The paper claimed it was an unknown donor and they were adamant their sources were reliable. Here we have another story that connects Gerry McCann (the father) to the story of biblical Joseph. Joseph was not really the biological father of Jesus. This story about Gerry completes the allusion to the Immaculate Conception / miracle birth. That is three different allusions to the Immaculate Conception: The conversation between David and Ivor Messiah on Madeleine’s birth being a miracle, the father being possessed by the Holy Spirit and the claim that Gerry is not the biological father of Madeleine. The Donkey is the animal most associated with the Messiah figure. You only have to look at Jesus to see that. There are many people who follow the Madeleine McCann story that believe Madeleine is dead. There are many others who do not share this view, they believe Madeleine was taken, but hope that one day she is returned. This is very similar to the Christian belief that Jesus was ‘taken’ and will one day be returned. Christians believe this for many reasons, but one of the main ones being that when Jesus died, his body mysteriously disappeared. When Jesus died on the cross, his body was moved to a tomb and a large stone was placed across the entrance. When Mary Magdalene arrived she found the large stone had been moved and the body had disappeared. Whatever theory you consider regarding Madeleine, they all agree on one thing – that her body, whether that be dead or alive, completely disappeared. Conclusion: The writer appears to have constructed a messiah story with Madeleine / Magdalene as the central character. In contemporary literature at the time of Madeleine’s disappearance this same story was already very well known thanks to ‘The Da Vinci Code’ – the story of the messianic Magdalene – more on that later. Can you imagine my reaction when I first discovered Ivor Messiah? The sheer audacity of this writer and until now, no-one has ever questioned it! I find that amazing, as the name is clearly an invention created to serve the overall theme. Upon the discovery of Ivor Messiah I went online to talk about this character and some people actually tried to argue for his existence, so let’s take a closer look at him. Whilst holidaying with the McCanns and their friends, David Payne made inappropriate sexual gestures in full view of the room. So not only is the wonderfully named Ivor Messiah the detective who interviewed David Payne (where he was told of a miracle birth and immaculate children) but his actions in court clearly mimic the actions of David Payne as described in The Gaspar Statements. In conclusion, there is nothing about Ivor Messiah that is remotely believable. His name is an invention to serve the messianic theme and his very own news story is a blatant parallel to The Gaspar Statements. In the messiah story, Gaspar was the wise man who hailed from India and the names Arul and Savio have the exact same meaning. In conclusion, the name ‘Arul Savio Gaspar’ is a fictional construct invented to serve the messianic theme. It was created as a signifier to alert the audience to The Gaspar Statements themselves being an allusion – this will be explained in the final chapter. In May 2017 Portugal celebrated the 100th anniversary of the ‘Our Lady of Fatima’ incident. It is the story of three shepherd children who were allegedly visited by The Virgin Mary. The 100th anniversary of Fatima’s Marian apparition was a major event with the Roman Catholic Church. The Pope himself attended the 100th anniversary to make Saints of the children. ‘Our Lady of Fatima’ also adheres to the messianic theme as Mary told Lucia (one of the children) of the importance of devotion to her Immaculate Heart. The events of Fatima are also pertaining to the Roman Catholic Church – another recurring theme of the Madeleine story. 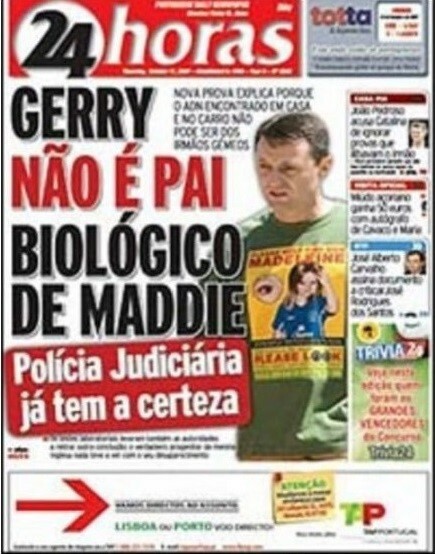 Does this contemporary Portuguese anniversary explain the timing and location for the Madeleine McCann story? I think it does and the creator of the Madeleine McCann story confirms this in a number of different ways. In this statement we are told that Fatima “was charmed by” the sight of three children and their mother ‘Mary’ as they were leaving their apartment. As the three children walk they are lit up by lights. These were the first connections that I identified, but when we look a bit closer we can see the allusions to this event are numerous. All of these numbers are bunched together within a short space, but can you see the pattern? There are three number ones, three number threes and three number fives. To make this allusion easier to spot, the writer twice makes-up the number 13 for us. The anniversary of ‘Our Lady of Fatima’ is 13th May or 13/5. In the statement, Fatima tells us the father was also with Kate ‘Marie’ and the three children, so how does he fit into all this? He doesn’t and this is signified by the carrying of the bread. The mother and three children are all carrying bread and Gerry is not. Bread has religious connotations and the writer uses the carrying of bread to highlight the characters he wants us to focus upon. If you read the link about ‘Our Lady of Fatima’ you will have read about the Angel of Peace. The three children of Fatima later claimed that an angel came to them to prepare them for the arrival of Mary. The Angel of Peace was “whiter than snow”. David’s visit to the McCann apartment works alongside Fatima’s statement and completes the allusion to ‘Our Lady of Fatima.’ The writer has also found another way to remove Gerry from the scene. The writer again using the characters of David, and Ivor Messiah to convey this allusion. The writer also draws the attention of the audience to David’s visit by having Kate and David contradict one another and themselves in a variety of ways. The most well known is that David says he was there for 3-5 minutes and he stepped into the apartment. Kate says he was there for 30 seconds and remained at the door. The writer creates a controversial moment to make audience aware there is an allusion taking place. It is a trick used throughout the Madeleine story. We are told that the second appearance of the Blessed Virgin Mary happened on the 13th June 1917. This time the lady told them that Lucia would live long in order to spread the message and devotion to the Immaculate Heart. 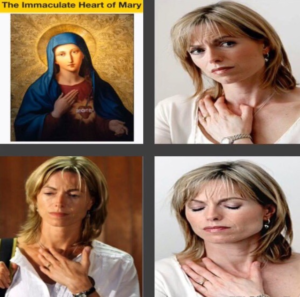 Here we can see various mirror images of the mother Kate Marie (Mary) that appear to be alluding to the Immaculate Heart of Mary. Again we refer to David’s visit to the McCann apartment where he twice uses the word ‘Immaculate’ to describe the scene before him. Additionally, the three Fatima children are two girls and one boy, the same as the three McCann children. That is not a coincidence – that is source material. I think it’s fair to conclude that the contemporary celebration of ‘Our Lady of Fatima’ explains the timing and location for the Madeleine McCann story, but why Praia da Luz? The name ‘Praia da Luz’ is simply translated as ‘Beach of Light’ and is an old fishing village located in the municipality of Lagos. An association with fishing / fishermen would be ideal for any messianic story and even though there are likely hundreds of old fishing villages along the Portuguese coastline, the fact that ‘Praia da Luz’ means ‘Beach of Light’ would make this an ideal choice. Remember, if this is a game of allusion and intertext then the writer has complete creative control and will want to allude to theme and original texts at every possible opportunity. Throughout the narrative we are informed the McCanns are Roman Catholics. 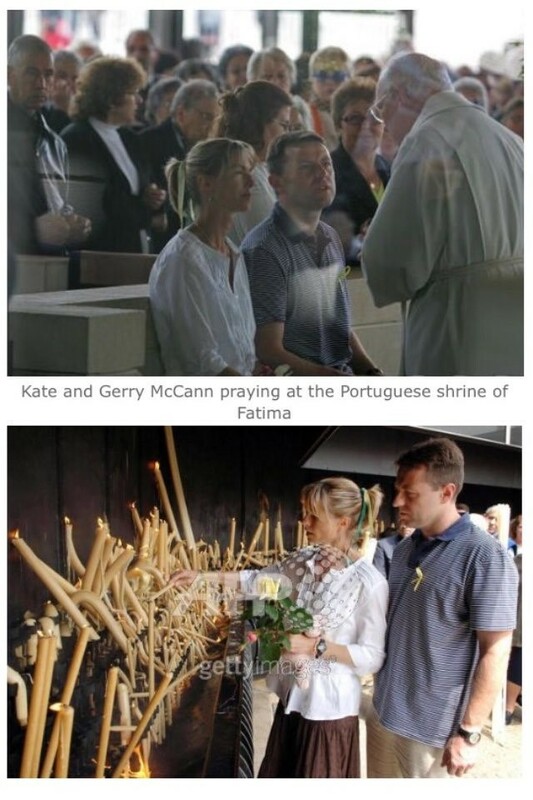 The audience are constantly reminded of the McCann’s Catholic faith by a variety of sources, but for the purpose of this article I have chosen the following three witness statements taken from the Portuguese Police files. 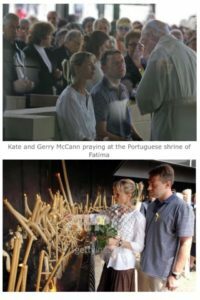 It shouldn’t come as a surprise to discover that Kate and Gerry McCann are very close friends with a Roman Catholic Priest. He tells us that they met in 1997, he carried out their wedding in 1998 and he also baptised Madeleine. “…but more than being a priest, I consider myself above all to be their friend. Now, I’m not saying people don’t become close friends with their priest. I’m sure many devoted Catholics are close to their priest, perhaps they even go on holiday with them. Shakespeare was from Stratford upon Avon. The birth of the twins and Stratford upon Avon in the same sentence! Shakespeare may have been an ingenious fiction writer, but he was also the father of twins and he wrote about twins in his plays. As we get to know the creativity of the author we can understand why he couldn’t resist alluding to Shakespeare. I was almost not going to include Paul Seddon, but he is a Roman Catholic Priest, he also claims to be one of the McCann’s closest friends, he conducts religious services for the McCanns, his name is ‘Paul’ and I quite like the Shakespeare link, so I decided to keep him in. The name ‘Pacheco’ is a noble lineage of Portuguese origin that was bore by the descendants of converted Jew Ruy Capon, believed to belong to ‘The Tribe of Levi’ – one of the twelve tribes of Israel and the only tribe with the right to be priests. If you were writing fiction and creating the character of a Portuguese priest then ‘Pacheco’ would be the perfect name. That is exactly the kind of research / creativity that goes into naming fictional characters. For example: In Hitchcock’s ‘Psycho’ – which in itself is a masterpiece of layered construct – Norman Bates is the character’s normal persona and this normal persona along with his normal looking motel are the bait that attracts potential victims = Normal Baits. As you can see, good fiction writers don’t just pull names out of a hat. So then, Father Pacheco is a perfectly named Portuguese priest, but what is the significance of his role in the Madeleine McCann story? The role of Father Pacheco is well documented. 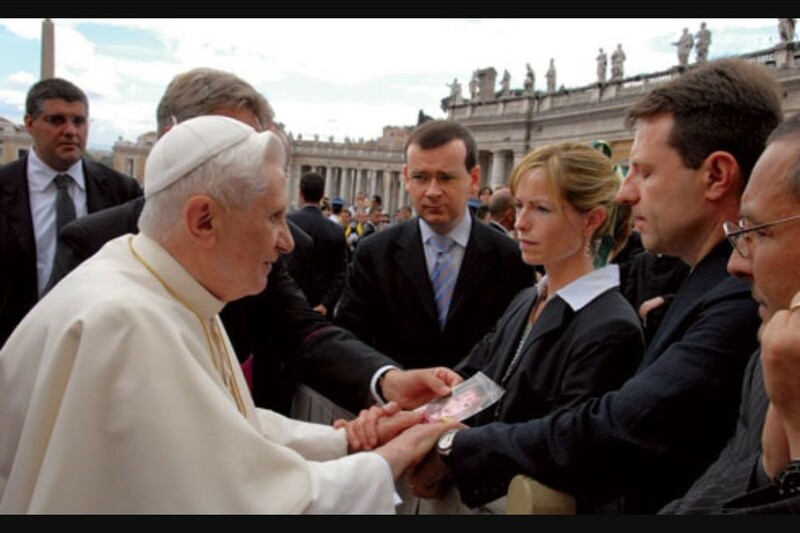 He was the local priest who, after persuasion from a church member, gave the McCanns the key to the church so they could visit whenever they wanted without any media pressure. That was the church were Gerry claims he encountered The Holy Spirit. In the McCann narrative the perfectly named Father Pacheco is known for the key to the church and the unknown deception. They are the two things that people associate with Father Pacheco. Are these two stories a cryptic message? Perhaps the key to discovering this deception lies with the church – and considering what we have looked at so far, I would say that is pretty accurate. The witness is being interviewed by DC Messiah and DC Ferguson. Does this mean there is a messianic connection and a Scottish connection? I’m not saying that’s how it works with every statement, but it seems to work here. Peter went to Dundee University, the same University that Kate attended, but they didn’t know each other during their time there – the Scottish connection. What a odd thing to state. However, when we read his statement we discover that Peter’s relationship to the McCanns revolve around child birth, or to be more precise, the difficulties of child birth. That is the overall theme of the statement and of their relationship, which means Peter is alluding to the theme of his own witness statement! So Peter is telling us that relevant pages and passages from the Bible were marked and tagged before Madeleine’s disappearance. That’s good to know. Samuel 2:12 (I told you Samuel would make an appearance) begins by talking about the death of a child, King David’s child. It then goes on to tell us about the birth of Solomon – the second anointed King in the Davidic bloodline – and there is the messianic connection. Why does Kate ask Peter to pray at the marina? Is this an allusion to the biblical Peter being a fisherman? Does Kate ask anyone other than Peter to pray at the marina? No, she doesn’t. This was a specific job just for Peter, which he carried out a number of times during the week. Also, why did Peter decide to go home on the day of the 90th anniversary of Fatima? You would think being a devout Roman Catholic he could have delayed his return and taken the unique opportunity to attend this special event. With Paul Seddon, Father Pacheco, Peter Neil Patterson, Fatima, the Pope and many other examples, I think it’s fair to say this is a wholly Catholic affair. Or to be more accurate, it’s a conspiracy story that includes the Roman Catholic Church. In 2003 the book ‘The Da Vinci Code’ was released. It is a detective / conspiracy story about the search for the hidden tomb of Mary Magdalene. The location and secret of the tomb was protected by the Knights Templar. This book is still the best selling book of the 21st century and one of the best-selling books of all time. 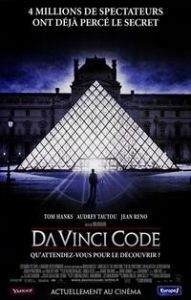 In May 2006 the film ‘The Da Vinci Code’ starring Tom Hanks and Audrey Tautou was released to great worldwide success. It was the second highest grossing film of the year and on the back of its success the author Dan Brown was named as one of the 100 most influential people in the world. By May 2007 the story of the messianic Magdalene and all of its ideas had become firmly embedded in popular culture and a staple of modern conspiracy lore. Its popularity was peaking and then the Madeleine McCann story broke. The fictional conspiracy ‘The Da Vinci Code’ took inspiration from books like ‘The Holy Blood and The Holy Grail’ and ‘The Templar Revelation’ in linking the Knights Templar with Mary Magdalene. The story informs us the Knights Templar had secret documents that proved the sacred bloodline of Jesus and Mary Magdalene. https://en.m.wikipedia.org/wiki/Rothley_Temple As you can read for yourself, this preceptory has links to the Knights Templar and the Freemasons. These links gave rise to many conspiracy theories – the most famous one being that Gerry McCann is a Freemason. A theory that cannot be true, surely it is just part of the story and the kind of theory that the writers would want people to believe. It’s like this image of Gerry explaining the ‘wider agenda.’ As many observers have noticed, his diagram was shaped like the Masonic set & compass. I believe that has been deliberately set-up to fuel the theory that he is a Freemason. The story is littered with these Knights Templar / Masonic conspiracy “clues” because that is the nature of the story. It is alluding to modern conspiracy lore and playing to the beliefs of conspiracy culture. In ‘The Da Vinci Code’ our two protagonists find their way to Scotland where they meet the guardian of Rosslyn Chapel. This guardian turns out to be the grandmother of Sophie Neveu, a woman who was long presumed dead due to a pact she agreed on to protect her grandchildren and the secret of their royal (Magdalene) bloodline. Gerry McCann, Madeleine’s father, is often portrayed as an archetypal kilt-wearing Scotsman. This would obviously make Madeleine half Scottish. So not only does Madeleine live in Rothley, a town well-known for its Templar links, she is also heavily linked with Scotland. The reported involvement of former Prime Minister Gordon Brown caused all manner of speculation. We are told that Scotsman Gordon and Scotsman Gerry frequently spoke on the phone. We are also told that Gordon Brown spoke directly to former Portuguese PM José Sócrates about the Madeleine case. All of this information fuelled speculation regarding Scottish Freemasons and their involvement in the cover-up conspiracy. Again, I don’t believe any of it as it all seems to be alluding to ‘The Da Vinci Code’ and modern conspiracy lore. We are told that Madeleine McCann’s biological sister is named Amelie – a cleverly devised double allusion. The fact that Madeleine’s sister is named Amelie means that all three McCann females have French names that can be connected to ‘The Da Vinci Code’ – Marie, Madeleine and Amelie. The character Sophie Neveu (the descendant of Mary Magdalene) is French and the story begins in Paris, ends in Paris and half of the characters are French. The story begins and ends at The Louvre. The male protagonist Robert Langdon kneels at ‘Le Pyramide Inversée’ – an implication that beneath this structure is the final resting place of Mary Magdalene. https://en.m.wikipedia.org/wiki/La_Pyramide_Inversée ‘The Da Vinci Code’ interprets ‘La Pyramide Inversée’ as symbolising the chalice and the blade. The inverted glass pyramid being the chalice and the stone pyramid underneath as the blade – a representation of the union of sexes. Isn’t that something? If that isn’t an allusion to ‘La Pyramide Inversée’ then I don’t know what is. 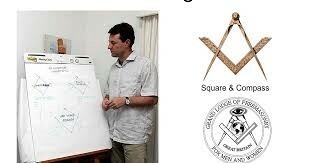 Pyramid aside, there are hundreds of pictures of the McCanns holding hands and observers to this will assume that is normal / expected, but with regards to ‘The Da Vinci Code’ the V-shape is the symbol of the chalice / womb. The V-shape is the symbol of Magdalene… especially if you’re holding hands when stood in front of a pyramid. Stating the obvious here, but Kate and Gerry are the parents of Madeleine. Their union of sexes produced a ‘Magdalene’ which makes that single image a multiple allusion. It also makes every image of them holding hands a multiple allusion. Additionally, twice in Kate McCann’s book ‘Madeleine’ Kate refers to her children in terms of a pyramid. At the beginning of ‘The Da Vinci Code’ we are introduced to Robert Langdon. He is called upon to assist the police translate a message. He is also the first person to be suspected of the crime. At the beginning of the Madeleine McCann story we are introduced to Robert Murat. He is called upon to assist the police as a translator. He is also the first person to be suspected of the crime. Leonardo Da Vinci was born in 1452. There are 1452 days between Madeleine’s date of birth and her reported disappearance. You can check that information for yourself if you like – Madeleine’s date of birth is given as 12th May 2003 and she disappeared on the 3rd May 2007. Leonardo Da Vinci died in 1519. The DNA results ‘15/19 markers’ convinced many people that Madeleine McCann is dead. Kate and Gerry McCann signed a deal to write a book about the disappearance of their daughter. Transworld Publishers secured the rights to Kate’s book ‘Madeleine’ and also published Dan Brown’s ‘The Da Vinci Code.’ What a coincidence! And Dan Brown even gets a name-check in the article. ‘The Da Vinci Code’ fulfils the criteria of the allusion being aligned with contemporary literature. The interplay between the two texts is undeniable. The author of the Madeleine McCann story has woven theme and content using a wide range of allusions. If you’re familiar with both stories then you will know there is much more I could add, but for the purpose of this article I am going to leave it there and move on to the final chapter. Throughout the Madeleine McCann story we are bombarded with controversial stories about David Payne – his visit to the McCann apartment, his encounter with child protection worker Yvonne Martin, his ‘disturbing’ descriptions of Madeleine and his starring role in The Gaspar Statements. As we have seen, the writer often creates controversial moments to alert the audience to the presence of an allusion. The fact that David is often at the centre of this controversy tells us that the character of David is an allusion. We have all heard the story of David and Goliath, but what else do we know about the biblical character of David? According to the Bible he was the first anointed king of Israel and Judah – anointed by Samuel. The Christian tradition (New Testament) traces the genealogy of both Joseph and Mary to the House of David. The writers of the New Testament show they are both descended from the Davidic Line to support the claim that Jesus is the true messiah. That is how important David is to the messianic tradition. Basically, when it comes to messianic bloodlines, all roads lead to David. Concern when David is overseeing the children bathing. Both of these controversial stories combine to create an allusion to a very important messianic story. If we read Samuel 2:11 we are told that David watched the young Bathsheba as she bathed. David watched her bathe and he lusted after her. David was unable to control his lust and acted on it, causing the young Bathsheba to become pregnant. This was highly inappropriate as Bathsheba was married to Uriah the Hittite. In an effort to conceal his actions, David urged Uriah to re-consummate his marriage so he would think the child was his, but Uriah would not. David then sent him to the front lines of battle where Uriah met his death. David watched the young girl bathe. David performed a sexually inappropriate act. How can we be certain that The Gaspar Statements are an allusion to this story? Does the text support this interpretation in any other way? If you recall, the Portuguese police photocopied a page from the bible found in the McCann residence. This was the bible given to Kate by Peter Neil Patterson. The photocopied page was Samuel 2.12 – a direct continuation of Samuel 2.11 – the story of David and Bathsheba..
What are the chances of that? The Gaspar Statements appear to be an allusion to Samuel 2.11 and the Portuguese police just so happened to photocopy Samuel 2.12. The combination of which complete the story of David and Bathsheba. The Lord punished David for his sins and Bathsheba’s child fell ill and died. After the death of the child David lay with Bathsheba once more and again she became pregnant, but this time the child survived and that child was the legendary Solomon. 1: When Kate asked Peter to pray by the Marina it was an allusion to the biblical Peter being a fisherman. The writer did this to alert the reader to the importance of Peter’s statement and the marked pages Samuel 2.12. 2: The name Arul Savio Gaspar is an allusion to the messianic theme. Gaspar is a signifier to alert the audience that The Gaspar Statements are an allusion. One identified as alluding to the story of David and Bathsheba as told in Samuel 2.11. The three most important characters in the messianic tradition are Jesus / Magdalene, the Immaculate Mary and King David. This explains why the writer of the Madeleine McCann story continuously alludes to these three characters via their intertextual counter-parts – Madeleine, Kate ‘Marie’ and David. The story of Madeleine McCann is not based on reality. It is a story that has been shaped using other texts. This kind of work can only be explained by the presence of a highly creative author, one with the freedom to choose locations, create names and invent situations that perfectly match his creative intentions. This kind of event must have been pre-planned and meticulously engineered. In other words, the story of Madeleine McCann has been a performance, a work of fiction that was presented to the public under the guise of a real news story. One can only conclude, due to the perfect alignment between texts, that no child was harmed during this production. Why would there be? It makes no sense whatsoever to actually harm a child as it would immeasurably complicate the execution of the story. It would make the compliance and performance of every individual involved virtually impossible. For 1500 years the Augustan History was thought to be a factual historical document. This view began to change during the late 19th century and was completely changed by the renowned 20th century Roman historian Sir Ronald Syme who comprehensively pulled it to pieces. The author of the Augustan History remains unknown (same as the Madeleine McCann story) and the discovery of its numerous literary inventions is now considered to have been the primary purpose for the work itself. I realise this interpretation of the Madeleine McCann story will generate many more questions and many of these questions will hopefully be answered in future articles. For example, the next article in this planned series will focus on the fascinating character of Goncalo Amaral under the general theme of police organisations. I hope you have found this study of the Madeleine McCann story to be interesting and informative. Perhaps some informed readers will take this interpretation of the story and begin to look at the narrative in a different light and maybe discover things that I have not.